Here is an overdue review. 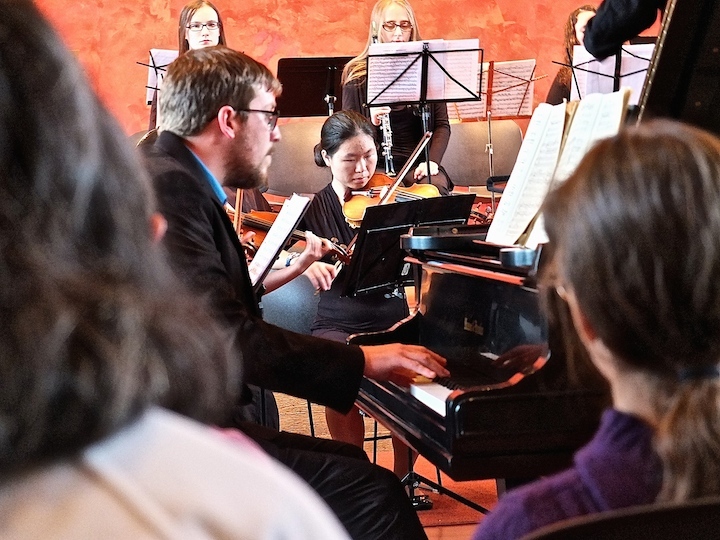 On Friday, July 11, the Madison Area Youth Chamber Orchestra (MAYCO) performed “Triumph and Delight,” the first of its two concerts this summer. 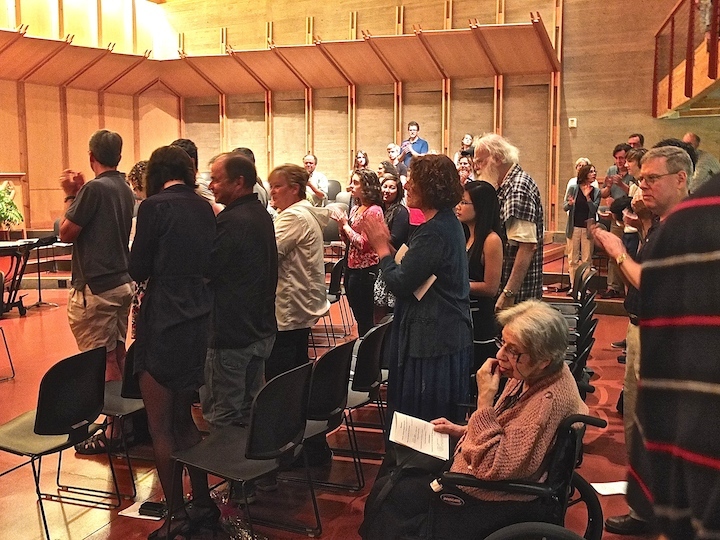 This one was at the handsome new Atrium auditorium, with its bright acoustics, of the First Unitarian Society of Madison 900 University Bay Drive. 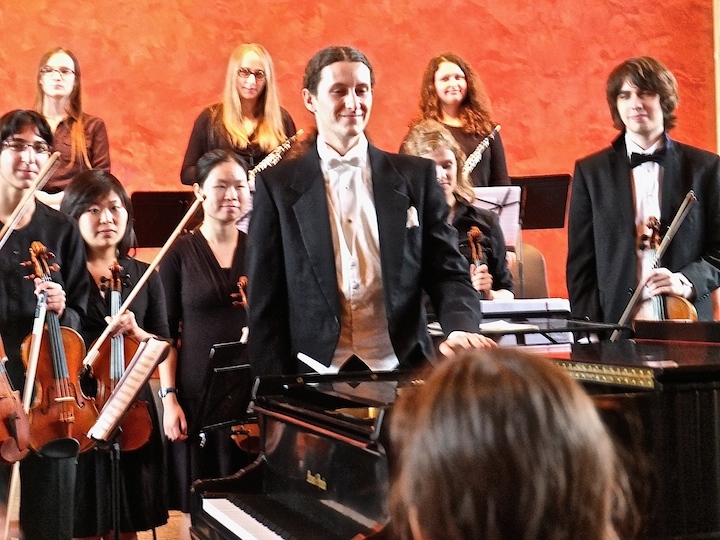 Founder and conductor Mikko Utevsky (below), who is currently a student at the University of Wisconsin-Madison School of Music, led the group through an intriguing program that include the Piano Concerto No. 11 in D Major, by Franz Joseph Haydn; the “Reformation” Symphony by Felix Mendelssohn; and the world premiere of a “Experiment No. 1” by his fellow student, composer Olivia Zeuske. 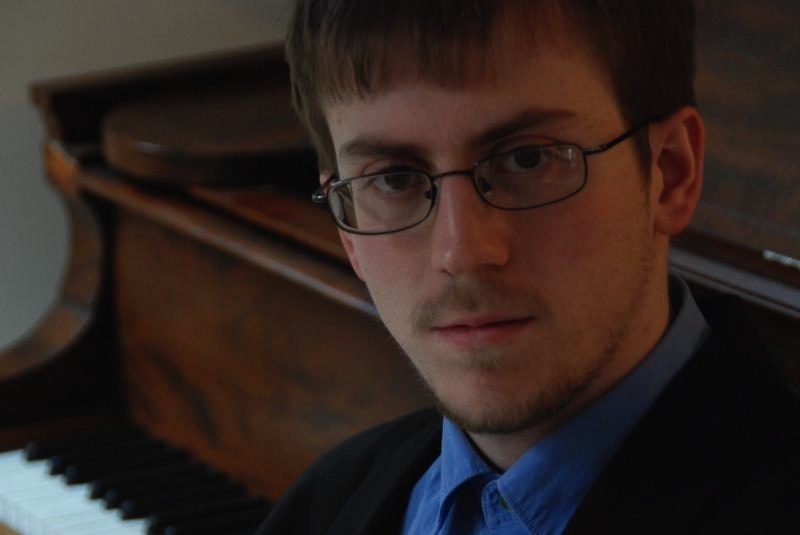 The soloist in the Haydn Piano Concerto was UW-Madison graduate Thomas Kasdorf (below). The Ear recently heard him in the Romantic and evergreen Piano Concerto In A Minor by Edvard Grieg, played with the Middleton Community Orchestra. And the performance was impressive, so expectations were high. And those expectations were both met and surpassed in the Haydn. This was not, thank goodness, period Haydn. From what The Ear heard, Kasdorf made no attempt to scale back his part and treat the piano like some Classical-era fortepiano. Instead this was robust and rich Haydn, an interpretation that made Papa Haydn sound more alive than dead. The humor and tunefulness plus the effective, if sparing, use of dissonance, all came through convincingly and in a contemporary way. Add in the orchestra’s careful attention to part-playing and to dialogue with the piano, and you had a performance that The Ear loved. 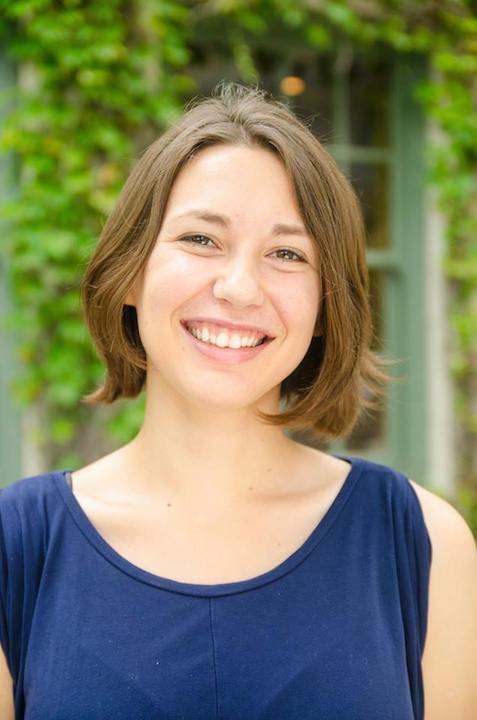 The work by Olivia Zeuske (below) proved highly atmospheric –- not exactly 12-tone or atonal, but not exactly not, either. For the most part, The Ear found it appealing, engaging and attractive. But for The Ear, who admits to being a “tunes” guy, it could have used some kind of melody or motif that was recognizable and repeated. In addition the piece could use more distinctiveness among the three sections, so the structure guides your listening. True, the very end did seem to build to some kind of climax, and you knew something was about to happen. But a lot of the rest of the piece seemed to have a tad too much lateral drift. A good statement or speech is not made by a series of “um”’s and “you know”’s and similar filler. And it takes more than sound to make music. Still, The Ear thinks that she has a future and looks forward to hearing more from Olivia Zeuske. The famous and familiar “Reformation” Symphony by Felix Mendelssohn was not weak except by comparison to the other performances. Some of it seemed a bit muddled, and The Ear wondered if it couldn’t have used more rehearsal time, which more likely went to working with the soloist and the world premiere. Still, the music carries itself in a great way. That is the same Lutheran hymn that Mendelssohn, a Jew who converted to Christianity but was nonetheless banned from being performed under the Nazis and Adolf Hitler, used in the finale to his irresistible symphony. Kudos, then, to this fine group of young up-and-coming musicians, who were warmly applauded by a good size audience of more than friends and family members. 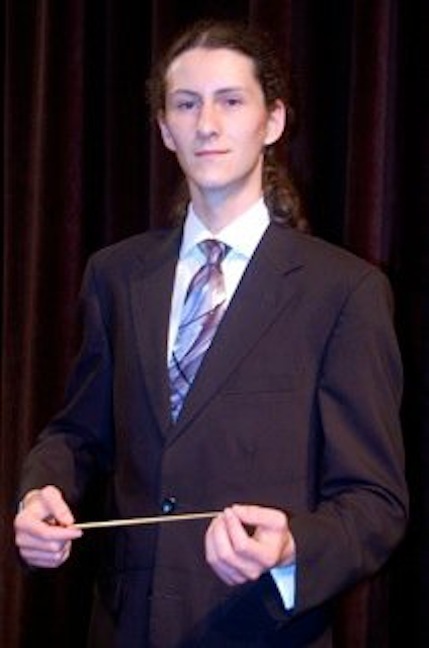 It makes one look forward to MAYCO’s next concert at 7:30 p.m. on Friday, Aug. 22. 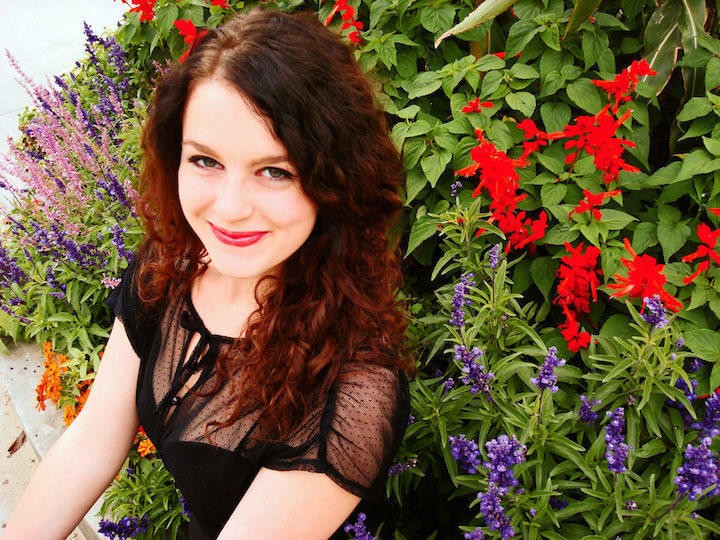 That’s when soprano Caitlin Ruby Miller (below) will join then in Samuel Barber’s “Knoxville, Summer 1915” with words by James Agee and music by Samuel Barber; the Symphony No. 9 in E-Flat Major, Op. 90, by Dmitri Shostakovich; and the Overture to “The Magic Flute” by Wolfgang Amadeus Mozart. The advertised venue is Music Hall, though the Atrium auditorium and other venues are still being considered, so stay tuned. Tickets are an affordable $7 with students being asked to donate what they can. The Ear says: Don’t miss it. concerts heard (esp. the splendid July 14 “Songs of Norway” with Mimmi Fulmer and Taliesin friends; or concerts coming up and definitely not to be missed (MAYCO’s account of ‘Knoxville: Summer 1915’ with Ruby Miller + Shostakovitch 9). Thank you, as always, for your steadfast support and your feedback.